Paula Vize grew up at the foot of the Sussex Downs watching the stables walking out. Living in a small village she cycled everywhere and her love of walking with dogs was founded. She has gained recognition for her passionate portrayal of images from the English countryside in a style described by us as ‘unfettered and free’. She has been a professional artist for many years now and continues to win prizes for her work especially of her portrayal of hounds, visiting the Kennels of many hunts. Her inspiration is a love of rural heritage and a fear that traditions and livelihoods are endangered. She has recently enjoyed the season spent watching the dogs and countrymen keeping our country estates working. 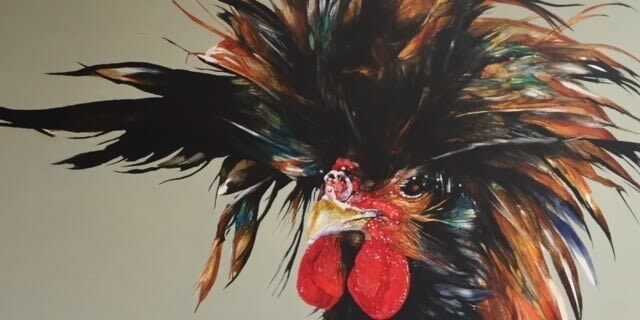 Working in oils, watercolour and acrylics, Paula aims to bring a vibrant modern approach to her subjects. Paula exhibits in galleries across the country, including The House of Bruar in Scotland, various galleries in Hampshire and with exhibitions at The Mall Galleries at various times of year. She has work in private collections including Dubai, New Zealand, South Africa.